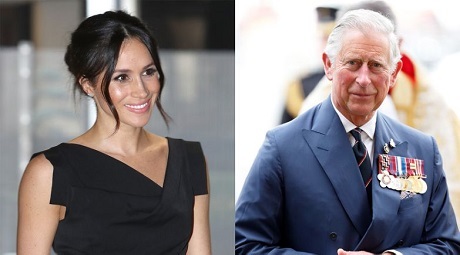 Prince Charles to walk Meghan down the aisle tomorrow – Royal Times of Nigeria. Prince Charles is to walk Meghan Markle own the aisle, the Palace has revealed. It could be recalled Thomas Markle, the bride’s father, pulled out due to a health condition, prompting the question of who would perform the role. Kensington Palace announced: “Ms. Meghan Markle has asked His Royal Highness the Prince of Wales to accompany her down the aisle of the Quire of St George’s Chapel on her Wedding Day. It was learnt that the Prince of Wales will accompany Ms Markle down just one half of the aisle (the second half) at St George’s Chapel but no one will give her away. It was thought her mother Doria Ragland would walk the bride down the aisle as there was no protocol preventing Ms Markle from choosing her mother, a member of the Royal family, or a close friend from escorting her. She could also walk alone, should she wish. Will North Korea sign Nuclear-Test-Ban Treaty?